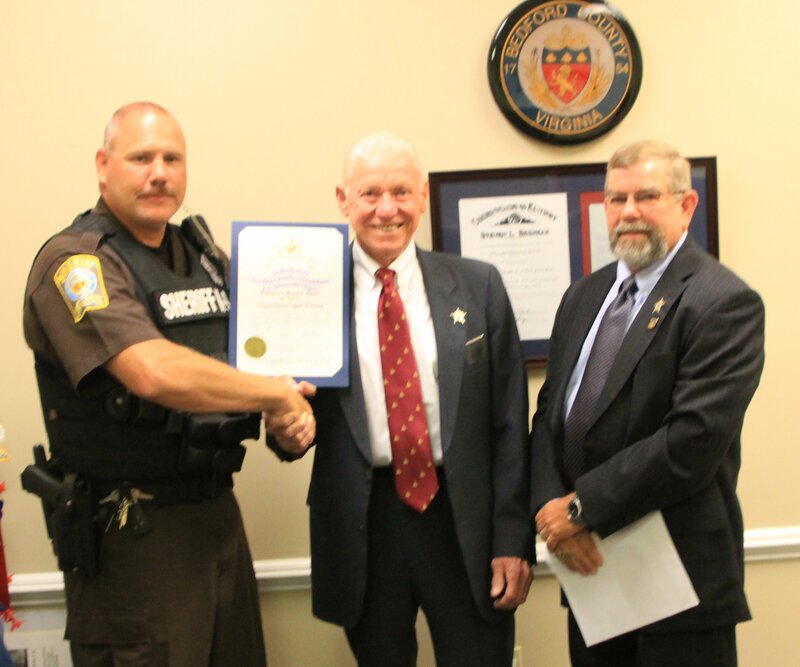 Representatives from the Forest, VA, Masonic Lodge presented Deputy James Kirkland the “Community Builders Award” which is one of the most prestigious awards that Virginia Freemasons can present to a community member. his passion for educating the public on timely topics, such as ‘active shooter’ and his commitment to the safety of all citizens of this county. Deputy Kirkland has been with the Bedford County Sheriff’s Office since September of 2000, is a professional K-9 handler and also serves as the team commander of the Tactical Response Team. Dep. Kirkland presented with the Community Builders award from Forest Masonic Lodge members Ed Schwabe and Berry Willis.